- Panvel Station 1.5 Km. 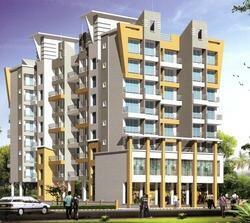 - Express Highway 5 mint Walking Distance. - All Buildings Aesthetically Painted with Good Quality of Paint. Plush lifestyles encased in a Hi Tech facade of Concrete and Glass, that highlights the elegance of the structure soaring into the sky. It unfolds a vista of MIRA ROAD & MUMBAI SUBURBS, unmatched in it's magnificence.From it's well spread and Landscaped Premises, Vast Entrance Lobby, the spacious Landings to the Luxurious Apartments it is a journey to an Elite Lifestyle. 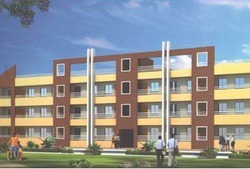 get this flat located in anant nagar badlapur [e.].9 min. walkable from station.flat having D.P. road side view.society have only 2 years old.flat on 3rd floor in g 3 society.flat have closed to school , collage , hospital and bank. Montag Pearl Tower project is located in the Delhi-NCR region, northern business hub of india.